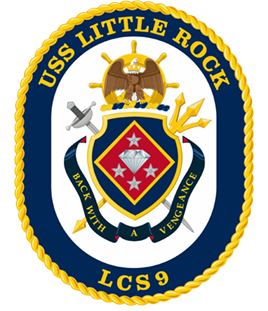 On Tuesday, May 8, 2018, the Commissioning of the USS Little Rock (LCS 9) was recognized with a Beacon Award as the “Tourism Initiative of the Year” for 2017. The award was presented by Visit Buffalo Niagara, Erie County’s lead marketing organization for conventions, meetings, amateur sporting events, cultural and heritage tourism and consumer travel. 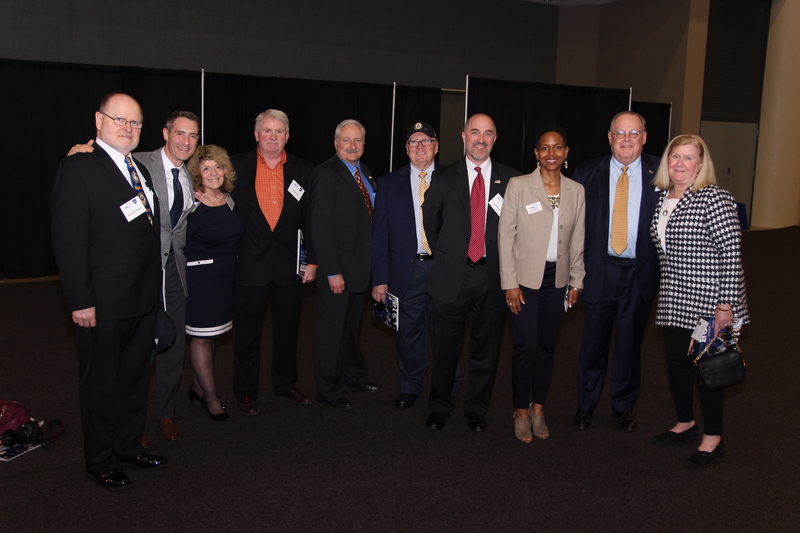 Maurice “Moe” Naylon, chairman of the USS Little Rock (LCS 9) Commissioning Committee accepted the award on behalf of the members of the Commissioning Committee and the Namesake Committee in Little Rock, AR. The National Travel & Tourism Beacon Awards were created to recognize excellence in hospitality and tourism in Erie County. This recognition is an opportunity for members of the industry to highlight exemplary achievements in a variety of areas: work ethic and customer service; initiative and drive; marketing or management. Since 2010, Visit Buffalo Niagara has received nearly 500 nominations. Over 50 awards have been given and the nominees are an excellent representation of diversity in our industry, creativity and innovation. All hospitality categories are represented including: hoteliers, restaurants, nightclubs, bars and breweries, cultural organizations, attractions, sporting events, our Bring it Home Ambassadors and volunteerism.